For as long as I've been around team sports, there will always be players that play out of their area. Mainly because there are players that are just too good to be playing in their area and need more exposure to ensure that someone sees them for their talent, thus ensuring that they have the best chance of making it out from any situation that they are in. Now granted I don’t know the exact rules are about registering players and all that jazz, but I'm sure the kids didn't know what's going on. All that beside the point, these are just KIDS; they played and had fun, accomplishing something that most dream to do. And that's the point here; they worked hard for this honor. They didn't cheat, they didn't use PED's and they didn't bribe someone to shave points. They came to practice every day, they worked hard every single day, they simply just played to the best of their abilities and they won those games, fair and square. Now some people are up in arms about players from another district playing on the team, but why? I'm sure that if they would've lost, this wouldn't be an issue at all. But you know how most things go with this; it's just a travesty that these kids have to suffer. 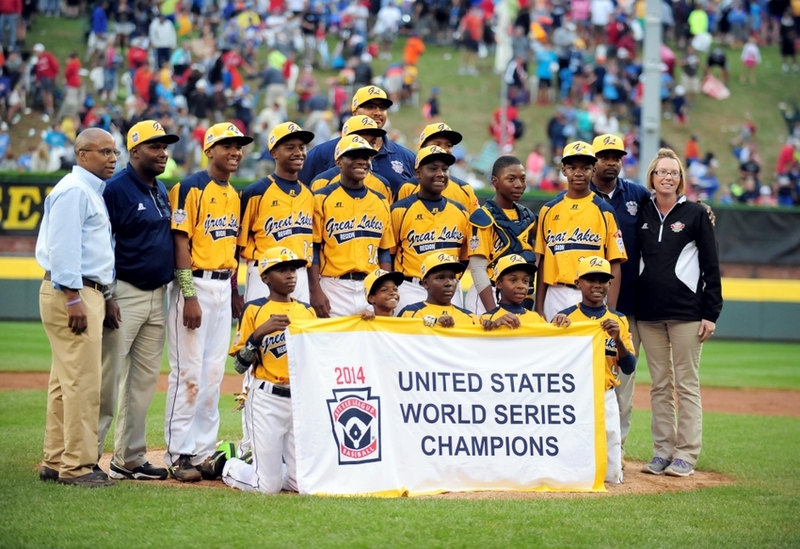 But kudos to the Mayor Rahm Emanuel for recognizing that these kids accomplished something amazing and that what happened isn't their fault and that they only went out on the field and played their hearts out. He's still going through with giving them their championship rings in a ceremony that they rightfully went out and earned. And it's kind of sad to see all of those comments from people critcizing Mayor Emanuel for still going through with the ceremony. Like these are kids we are talking about, we're not talking about the parents, and we’re talking about the kids here. This just further confirms the state of this country when it comes to race relations, because the debate can definitely be made that this wouldn't happen if the skin color was reversed. But I'm not making this blog about that today, what I am going to say is that it's just a terrible thing to do to these hard working kids. But none the less, congrats are in order to Jackie Robinson West because you guys accomplished something great and no one can ever take that away from you. Enjoy your rings and cherish them forever and enjoy this moment. Continue to do big things, because we are proud of you and everything that you have done.